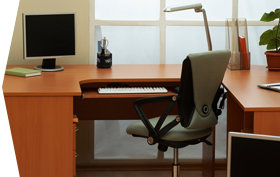 Wastebasket liners and trash bags for the office should work as hard as you do, whether you’re looking for small garbage bags for your deskside or large trash bags for an all-office recycling bin. From paper waste to lunchtime leftovers, you want a bag that will do the job, no questions asked. 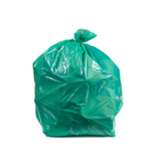 Our office garbage bags are available in a large variety of sizes, styles, and thicknesses, so you’ll always find the right bag on the first try. 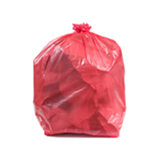 Office trash comes in all shapes and sizes, so Plastic Place offers a wide range. 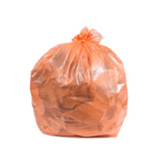 From tiny 4 gallon trash bags to large garbage bags that can gobble 30 gallons of junk, we have the bag you need to fit your trash can. 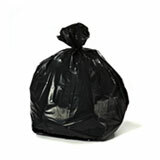 We offer a plenty of high density garbage bags (their thickness is measured in microns), which are popular in offices. They are a lightweight, strong, and affordable solution for businesses that don’t need to worry about punctures. 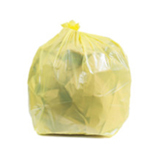 If you’re looking for heavy duty garbage bags, we have those too: just go for the low density bags (thickness measured in Mils). Whether you opt for high or low density bags, remember that the higher the micron or mil count, the thicker the bag. 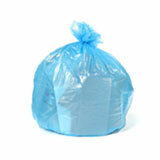 We have clear and blue recycling garbage bags to help everyone around the office do their bit for the environment. 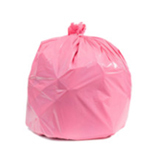 No matter what you’re looking for, wholesale garbage bags are an excellent way to cut down on your office supply budget without cutting corners. 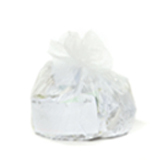 Our bulk waste basket liners are top-quality and covered by our 100% satisfaction guarantee, and we’ll even walk you through picking the perfect bags for all of your office needs. 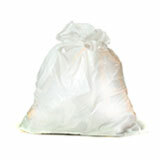 With our Plastic Place experts on your side, you can purchase wholesale trash bags in large quantities with confidence. 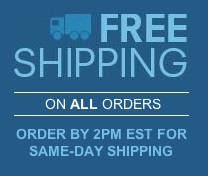 You’ll save money, valuable restocking time, and ensure that your office always has the right trash bags on hand.